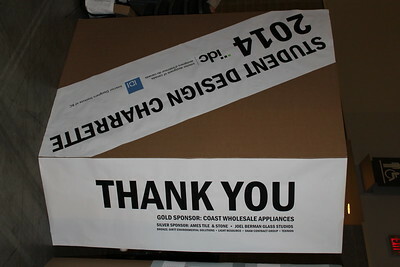 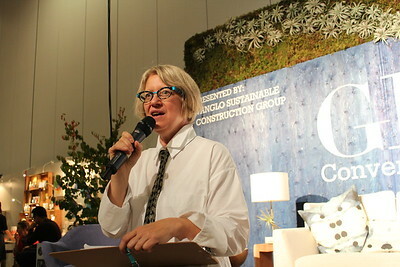 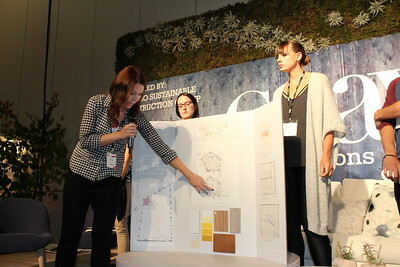 Event took place at IDSwest 2014 at the Vancouver Convention Centre. 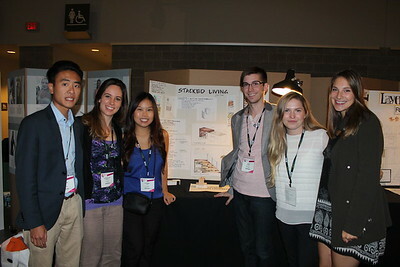 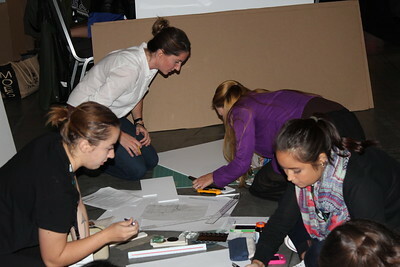 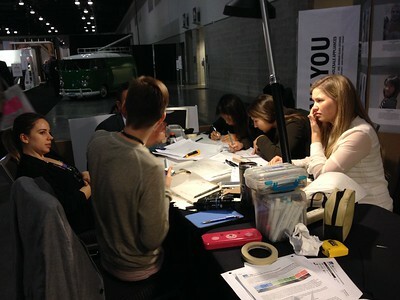 Students from various design schools in BC participated in the charrette. 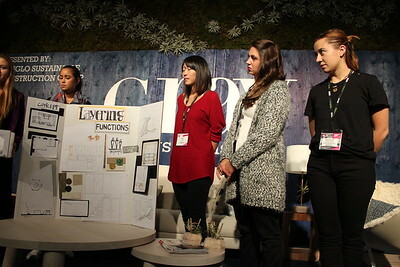 Students were briefed on Thursday evening about the context and design challenge and then grouped at random and this was the first time they had worked together. 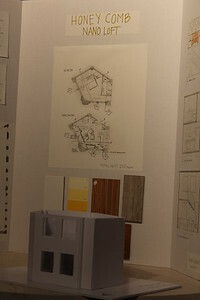 The challenge was to create a micro-loft in Vancouver of no more than 250 square feet. 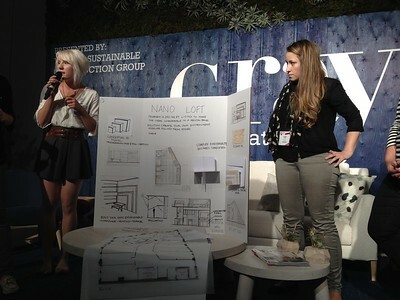 Each loft had to accommodate at least two adults. 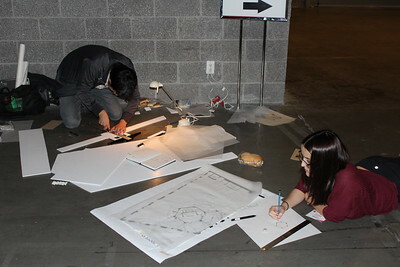 Students were given the total floor plate and were to craft a portion of that space for their design. 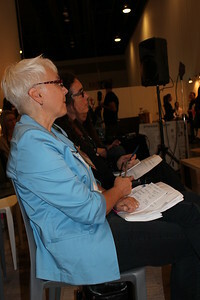 Groups met and completed their design challenge on Friday, September 26, 2014 at IDSwest. 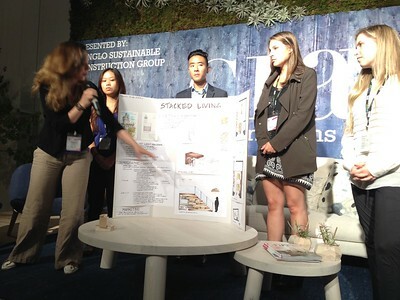 Designers and Trade Show attendees could walk up and ask questions as the students worked. 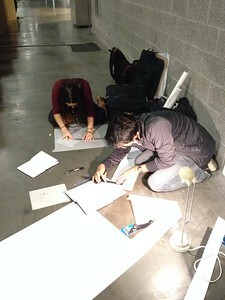 They had 6 hours to complete their designs. 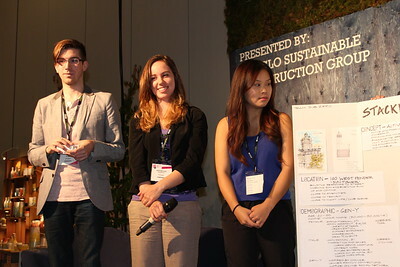 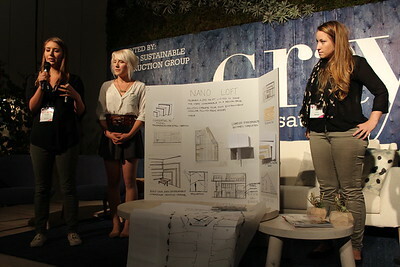 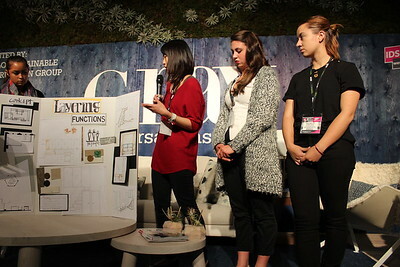 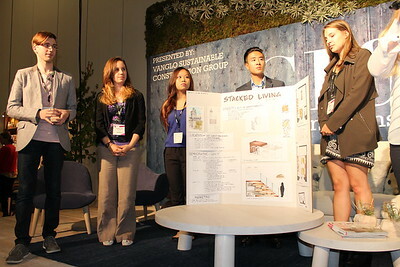 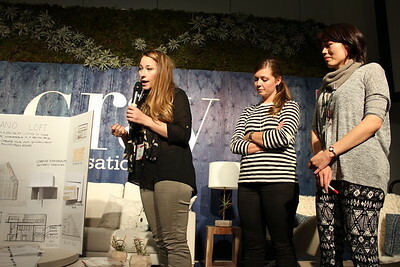 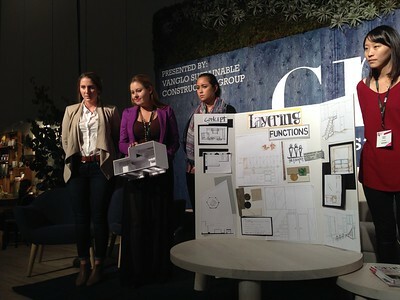 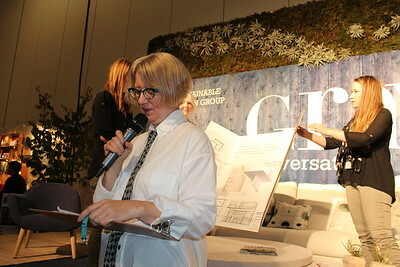 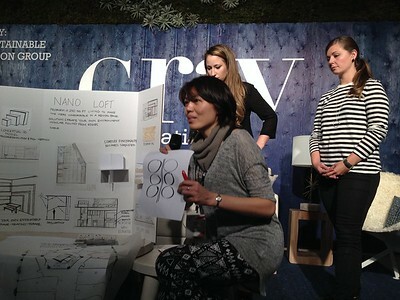 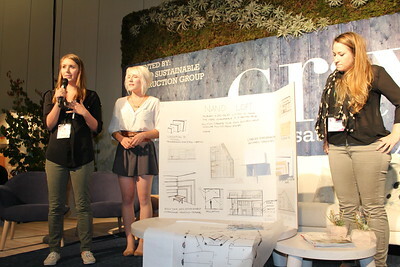 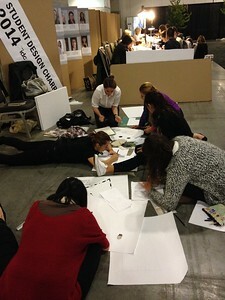 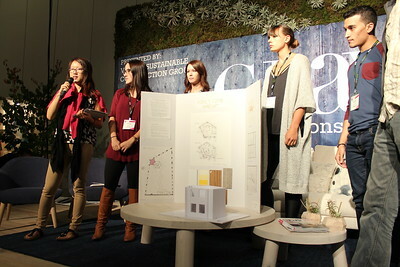 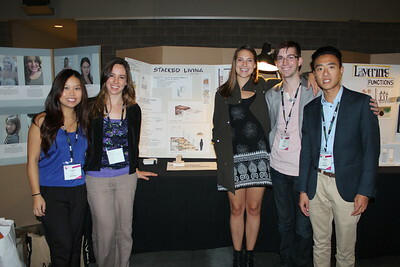 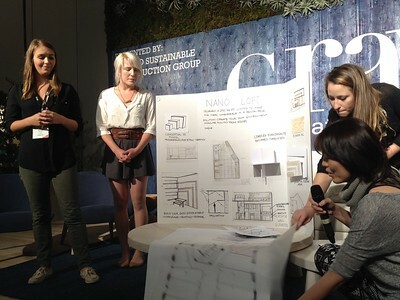 They then presented their design challenges on the Grey Magazine Design Stage in the late afternoon. 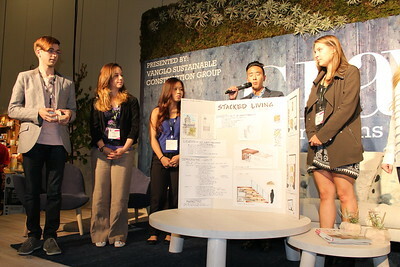 The winning team was chosen and invited to attend the IDC/IDIBC Shine Awards that evening.